Elegance with a light embossing in the form of an envelope, one of the most eye catching Rottner stainless steel mailboxes.The high-quality, brushed stainless steel was formed into a simple, spacious mailbox with a delicate embossment in the form of an envelope on the door.The flap protects your post perfectly against dirt and moisture. 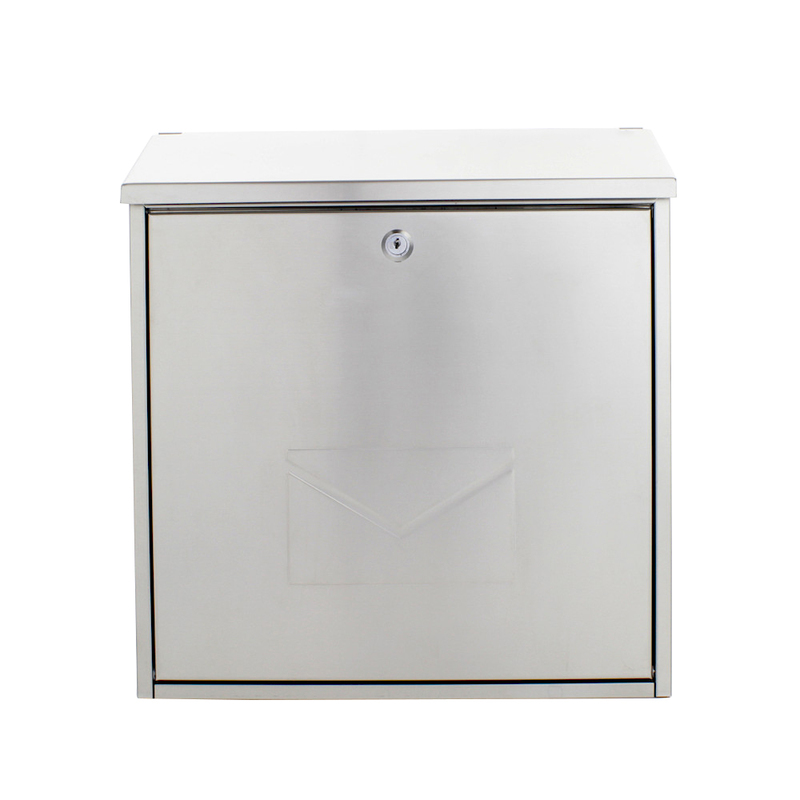 The Rottner Stainless Steel letterbox Bologna made from high quality, brushed stainless steel. The flap of this spacious letterbox allows the rain to flow off perfectly, protecting your items from moisture and dirt. The material required for easy assembly is included in the delivery. Top loading A4 letter slot below roof flap.